My name is Abby Retzlaff and I own two horses, a quarter horse mare named Surprise and a Westphalian gelding named Westy. I have been riding since I was four years old, starting out in hunters. 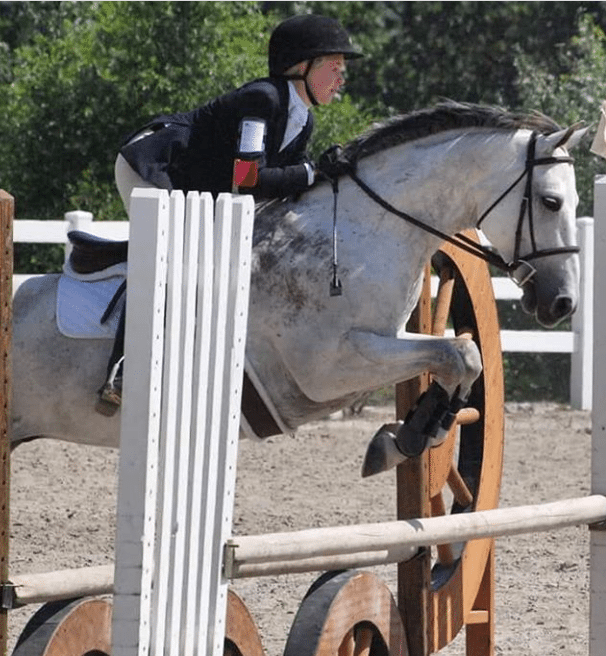 Within the last few years I have switched over to eventers and jumpers. I rescued Westy and trained him and we are now competing successfully in the eventing world and jumpers, competing in Mini Prix and High Training Jumper divisions. I have also had the amazing opportunity to help train the Connemara ponies that my neighbors breed and raise, and it makes me very proud to see the Connemaras I helped to train to go onto and be successful at Pony Finals. My goal for the next year is to continue to bring my rescue horse up through the levels of eventing.